My favorite kind of cheese doodles! I will sit there with that man and share the goods. I like how he has a second sign stored in the back for those days when one sign is getting too old. EPIC BLACK BAR MAN STRIKES AGAIN!!! 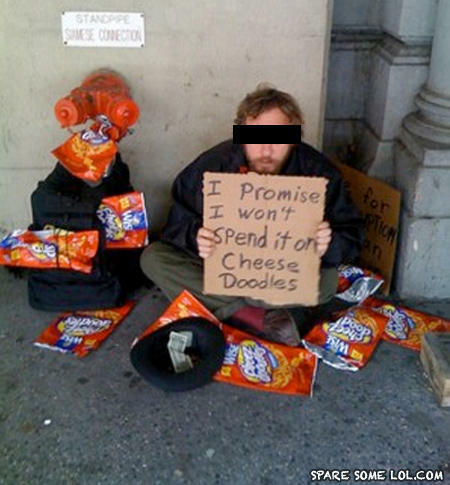 At least he is honest... Moral: He will use it on crack and booze. What did the Mexican man say to the American man? Nothing. Neither of them spoke the same language.